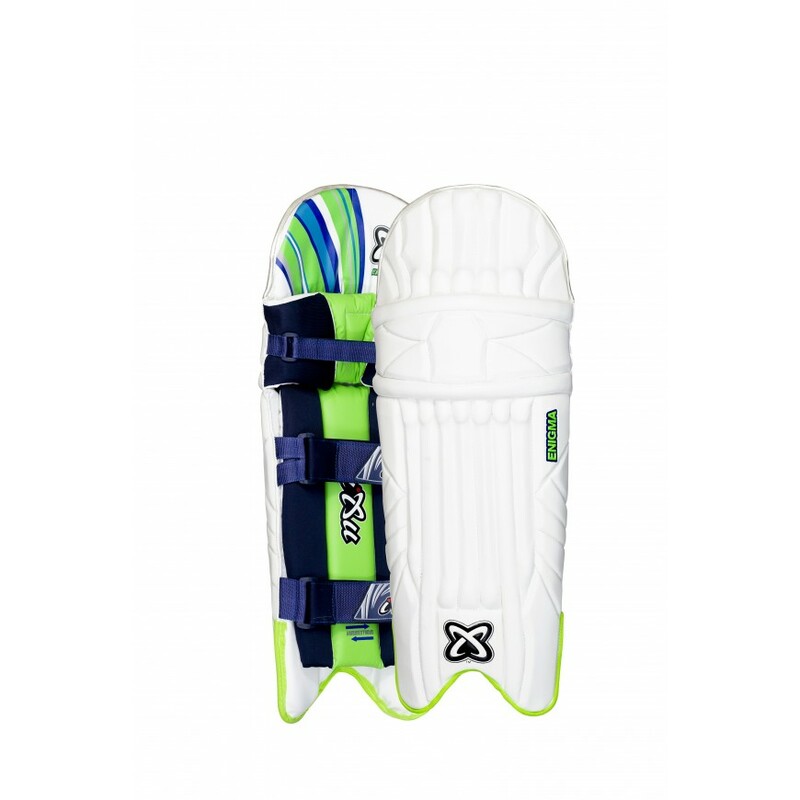 Our modern-designed, premium quality Enigma batting pads are ideal if you are looking for a high quality pad that offers great protection. Our Enigma pads are lightweight and designed for comfort with high-density moulded foam construction that provides excellent protection. They feature a wipe-clean polyurethane facing and three adjustable straps for a comfortable and secure fit. To select the correct size, measure teh length from the knee cap down to where the bottom of the pad meets your shoe.